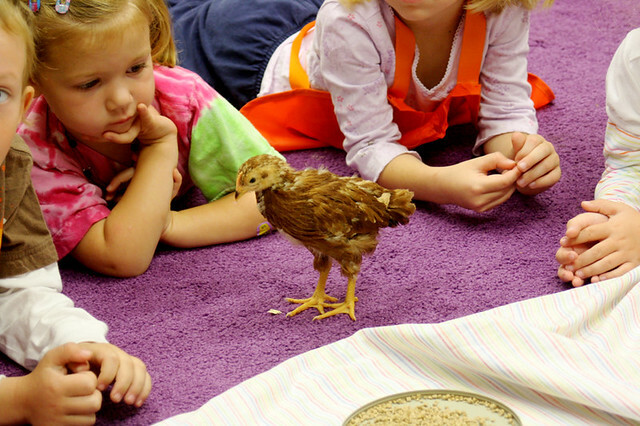 if your preschooler told you we had real chickens at preschool, it was true. 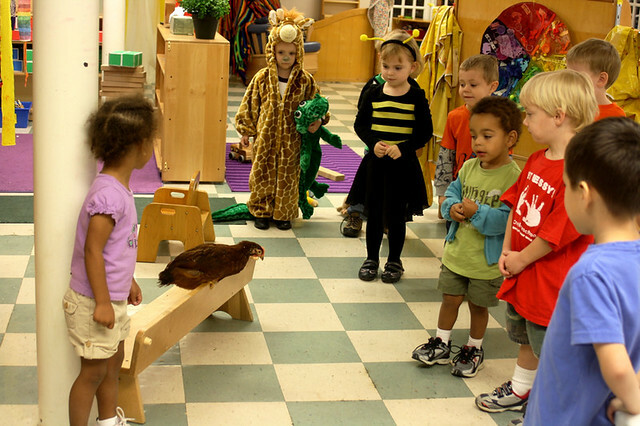 if your preschooler told you we took them out at circle time, it was true. 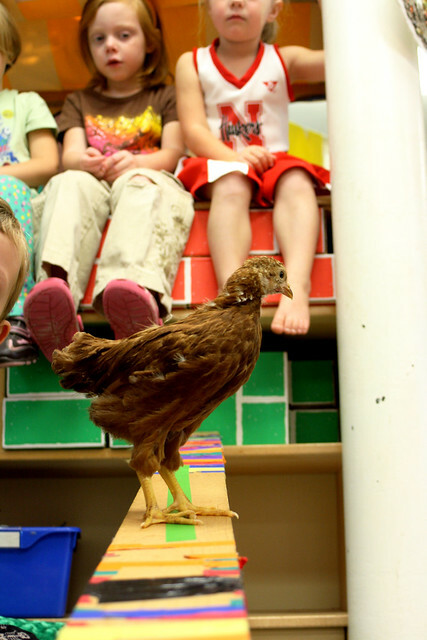 if your preschooler told you that only ronni could hold them because they were hers or that anyone was allowed to touch them or that no one had to touch them or that they could talk on the phone to the chicken farmer, it was all true. 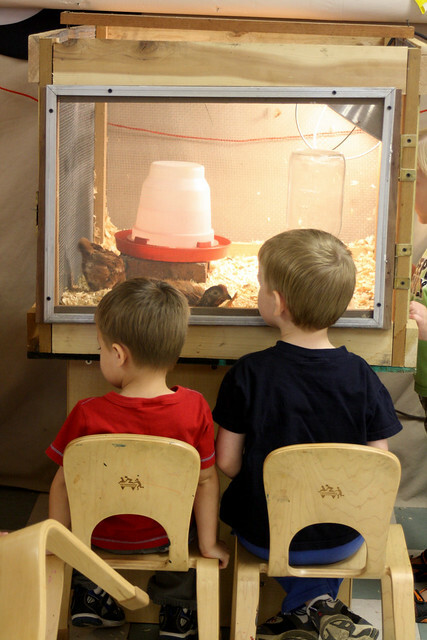 if your preschooler told you that they had a heat lamp, food and water in a cage in the classroom, it was true. 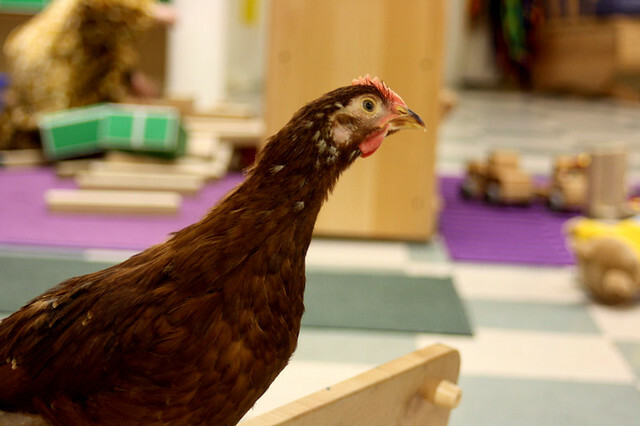 if your preschooler told you that by the end of the week the big chicken could get out of her cage by herself, it was true. 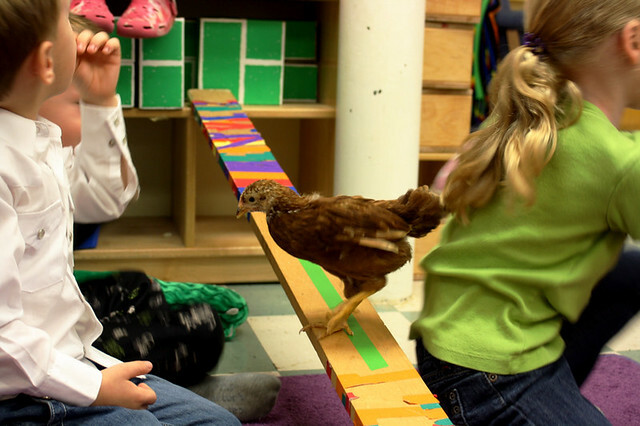 if your preschooler told you that we made a ramp for the little chicken, it was true. 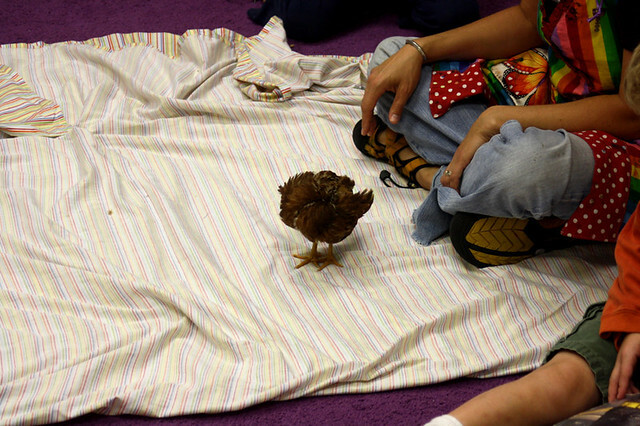 if your preschooler told you that ms kristin was the one to clean up the chicken poop, it was true most of the time. 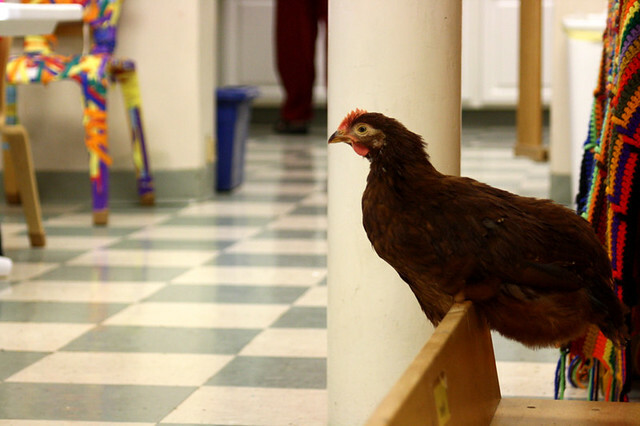 we loved having the chickens here. thank you, ronni and family. love, love, love this. 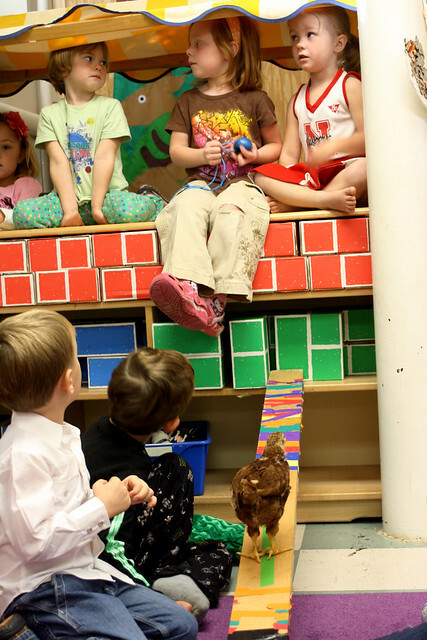 the outdoor preschool i taught at in los angeles had a flock of hens and i miss them (i’m currently teaching in chicago). 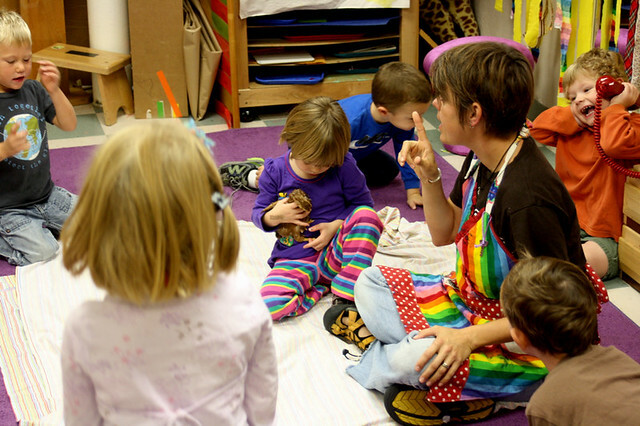 such an amazing learning opportunity.